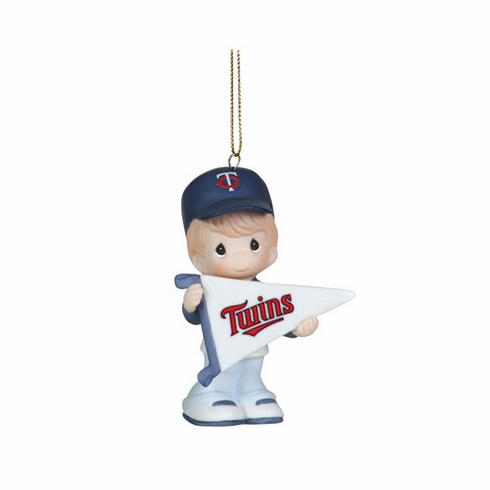 This Minnesota Twins Boy with Pennant Ornament by Precious Moments measures appx. 3.5" tall. "My Team's A Home Run"
Proudly holding the pennant of the Minnesota Twins� Major League Baseball� team, this officially licensed ornament will have the sports fans on your list cheering! Bisque porcelain ornament. Very limited quantities...RETIRED 2011 DESIGN.